Our high quality products produced under the brand names “AMVROSIA”, “HELLENIC FARM” and “WHITE TOWER” are internationally acclaimed for their taste, texture and quality. 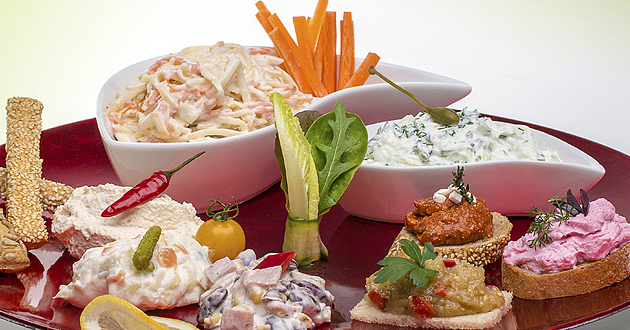 Our brands are industry leaders in premium quality salads, dips and spreads. The safety and quality of our products necessitates the selection of high quality fresh-cut produce, and the implementation of good practice during processing. In this way, we are committed to maintaining freshness, quality and product integrity.